Overlooking the lake and Jura mountains, this salon can accommodate up to 200 people. 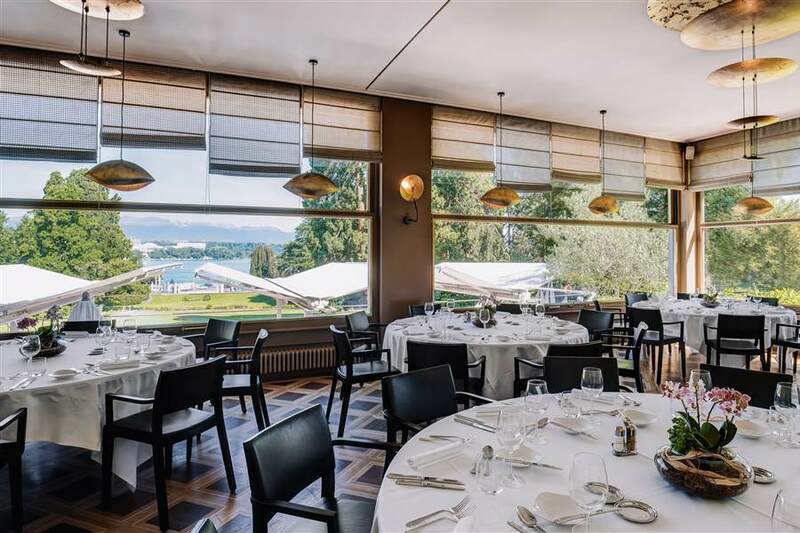 Located on the ground floor, with an area of 64m2, the Léman room is the largest reception room overlooking the lake and the Jura mountain range. It interconnects with the Petit, Anglais and Rouge salons, which can accommodate up to 120 people for a seated lunch or dinner, and up to 200 people for a cocktail reception.